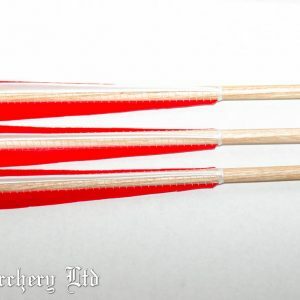 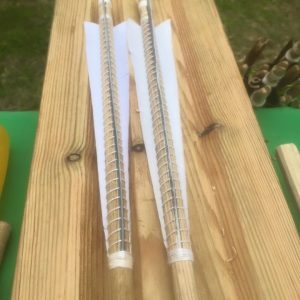 Our self nocked medieval style arrows (unspined) are made from quality materials starting with straight grained ash. 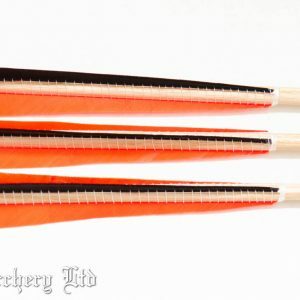 We hand cut 6″ feathers and bind the quills as standard and finish with wax. 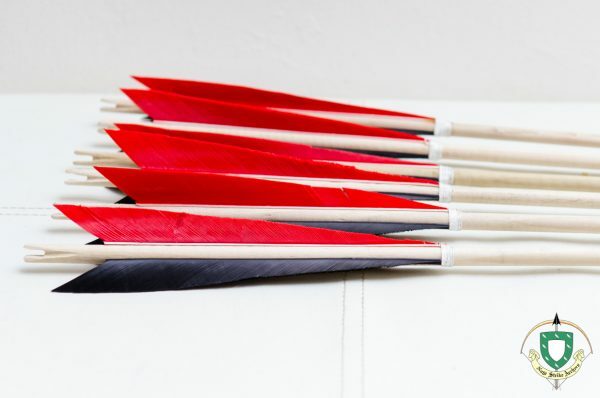 Arrows are supplied at 32″ long as standard with a target style pile. Heads can be left unfitted should you wish to cut the arrow down or you can request that we do it for you at no extra cost.